Tell your story with a beautiful locket by Dower & Hall and cherish what's inside. 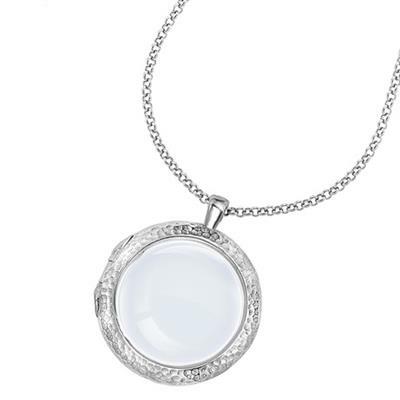 This beautiful Cherish locket is crafted with 925 Sterling Silver and set with Sapphire Glass at the front and back. Featuring a soft beaten finish, the locket is hung on a belcher chain finished with the Dower & Hall signature quatrefoil catch. The Dower & Hall collection of Treasures is lovingly designed to personalise your Cherish locket. Capture your most precious moments and wear an accessory that can be cherished for years to come.